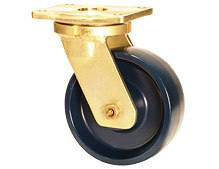 Muvtons exclusively designed " real solid " elastomer wheels produced from premium liquid cast polyurethane 73° ±3° shore d mechanically & chemically locked to a non corrosive metallic core that holds the wheel bearings and also provides structural rigidity under heavy loads. 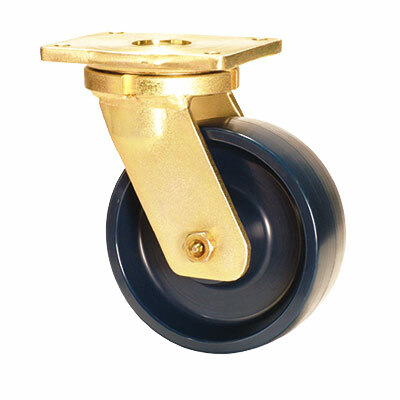 These wheels resist compression set, have excellent resilience for easy movement even under high loads and expel floor debris. 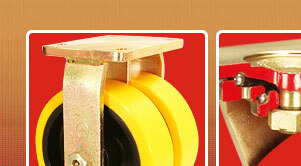 Can be used for corrosive applications with suitable bearings. They are non marking and floor protective. 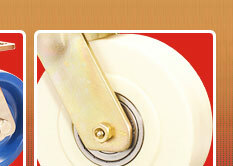 Tested & guaranteed against bond failures. 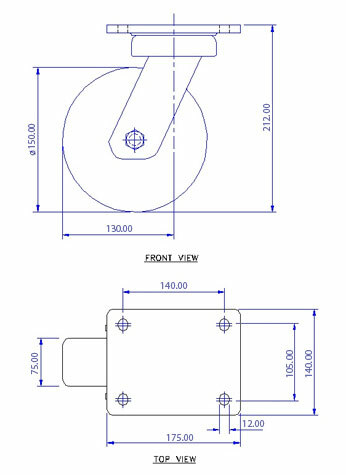 Wheel bearing options : sealed precision ball bearings, tapered roller bearings or roller bearings. Temperature range : -20°c to +85°c. 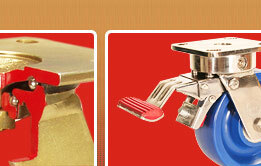 Tread options:anti-static;conductive wheels are available.